When we first meet George (Gere), he’s being woken up in a bathtub in someone else’s rundown apartment by an angry landlord (Steve Buscemi). We know very little about George – we don’t even catch his name until about halfway through the movie. Kicked to the street, he wanders, helpless, going from an ER waiting room (where he’s briefly allowed to stay the night if it’s colder than 32 degrees outside), to a shelter, then to another shelter. He says almost nothing. The film itself, however, is anything but quiet. We hear snatches of conversations, and cars, and construction, and the hammering cacophony of the city. The film’s booming, ever-changing soundscape constantly keeps us off-balance – in part because there’s so little of George in it. As far as the soundtrack goes, he is already gone. One night, George stands outside a bar watching a young bartender (a terrific Jena Malone, who has quietly been having a great couple of years). Meanwhile, we hear another patron’s phone conversation on the soundtrack as he tries to get a girl to sleep with him. We feel like we’ve intruded on a private moment, but George is such a ghost – such a non-entity – that it somehow doesn’t matter. We will eventually learn that the bartender is George’s estranged daughter, but the film avoids spelling things out. George doesn’t want to be seen – and the images and the sounds crowd him out to such a degree that we’re not sure if he could be seen even if he wanted to be. For all its formalist qualities, the film still has a very visceral, elemental kick. Moverman eschews context, but he gives us experience instead. George desperately wants to sleep, but can’t seem to do so anywhere he goes. At one shelter, an unseen man’s croupy cough is so agonizing that I almost dry-heaved in the theater (again, that sound design! ); at another shelter, a slightly off-kilter younger man keeps George up with a monologue about religion and race and how he’s getting his life on track; later, George becomes friendly with Dixon (Ben Vereen), an aging musician who’s a veteran of the shelters and the streets, and who is as chatty as George is silent. Dixon and others try to help George get registered for services, but the man has no identification, no birth certificate, no utility bills; he can’t even remember his social security number. He’s disappearing even as a data point. 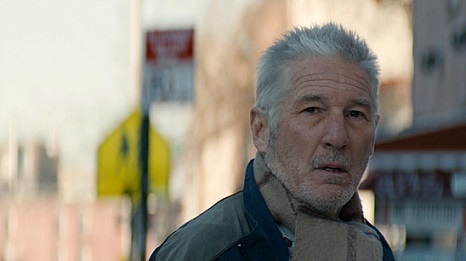 Though admirably decrepit, Gere hasn’t shed all his smoothness, probably on purpose: He’s lost, but he clearly hasn’t been homeless for long. That subtle, but very present, tension between where he is right now and where he probably once was adds a nerve-wracking unpredictability to this character. We can never really read him, even as his backstory comes through in incomplete drips and drabs. Moverman doesn’t let us get comfortable. Even the film’s final shot – a striking long take –somehow manages to be both hopeful and despairing. Time Out of Mind takes what could have been a standard social issue drama and turns it into poignant, anguished art. It shows us a man in free-fall, and for a while, it lets us fall with him. Phenomenal Blog! I might want to thank for the endeavors you have made in composing this post. I trust a similar best work from you later on too.Thanks much for your post, it influences us to have an ever increasing number of circles throughout our life, So kind for you, I likewise trust you will make increasingly phenomenal post and allows increasingly talk, much thanks, dear.